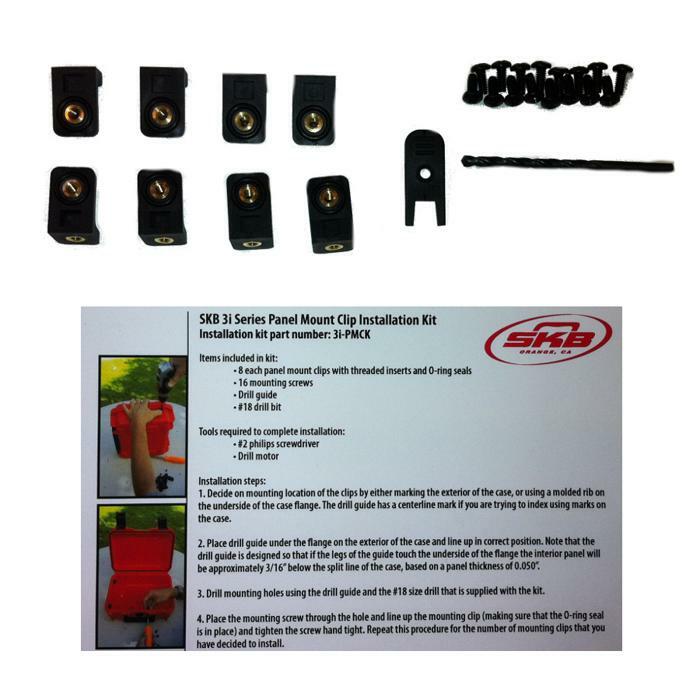 SKB’s new 3i-PMCK Panel Mount Clip Kit will accommodate any size 3i Series case. The 3i-PMCK Panel Mount Clip Kit will secure a mounting panel of your choice for a convenient and finished appearance. 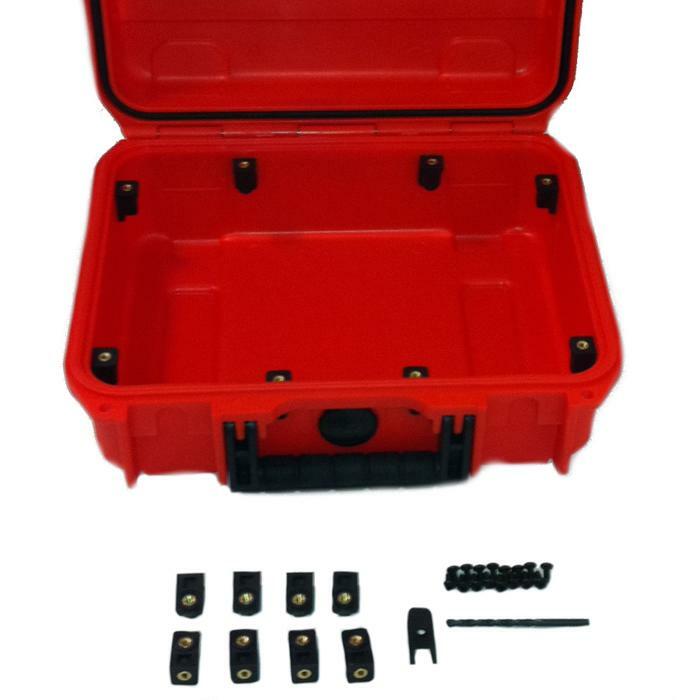 The 3i-PMCK kit is complete with 8 panel mounts that have pressed in brass inserts, O-ring seals, mounting screws, a drill guide and even the necessary drill bit for a quick and easy installation.